PLEASE HELP: I am looking for a few parts new rubbers for both of my wing windows, wiper & light knobs, moldings for both of my fenders and hood molding also a driver side window winder. I have been trying to reach Tana of VINDATS for months does anyone know if she is ok. I am in California and you can reach me at my e-mail: fijikhan66@yahoo.com. Are the moldings you talking about the badges/emblems, or the trim pieces? If it is the trim you are talking about, do you have a photo of the door trim, as there is more than one type. 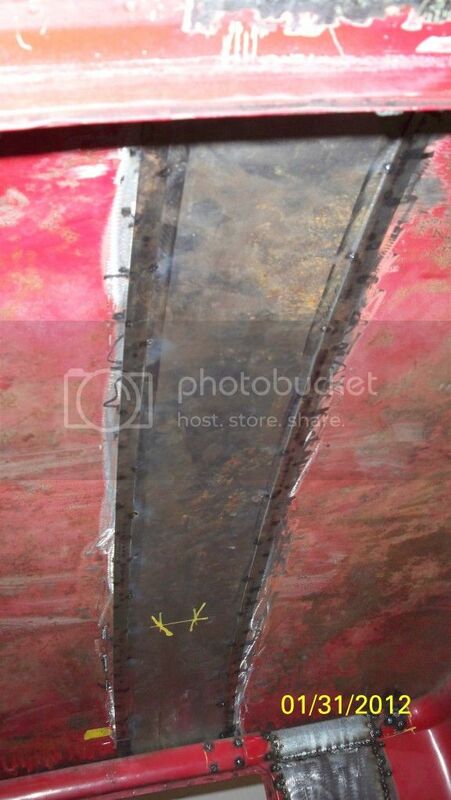 We are all looking for wingwindow gaskets/rubbers, if you find a source, let us know. The winder you want, is it the winder handle, or the winder mechanism/assembly in the door. 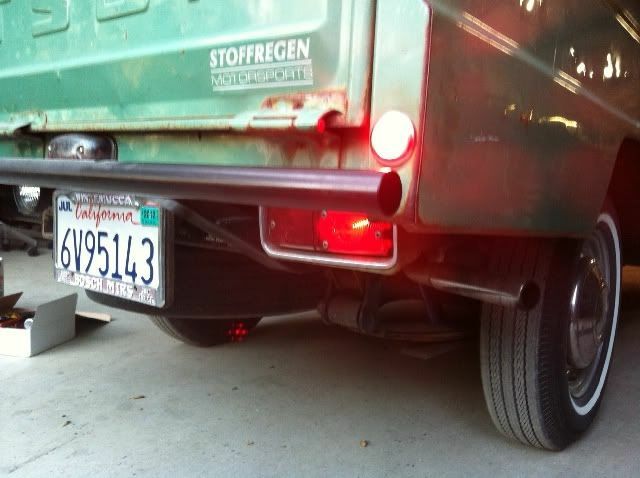 Here are some photos of this truck and the modifications done to it. This is so cool, this type of mod. interests me, as you all know I am very interested in legroom. I will post more photos as I get them. 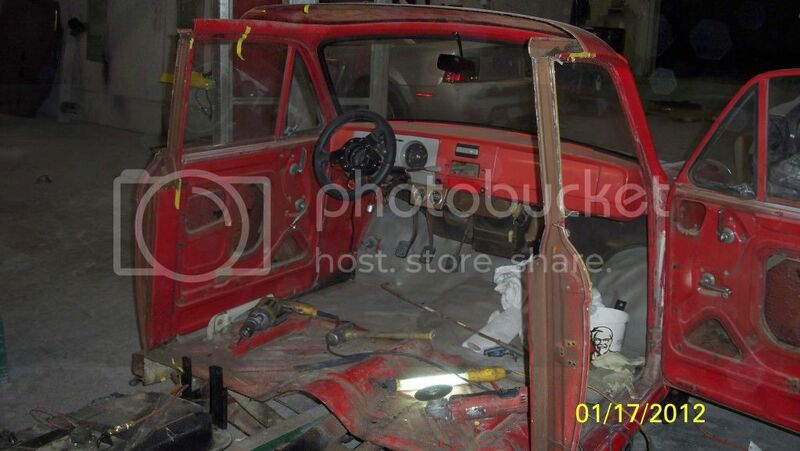 Here are a couple interior shots of the fabrication. Unfortunately she is in the hospital this week for about the third time in the last couple of months. This is a very important photo to me, it tells me a lot for my upcoming 320 project. 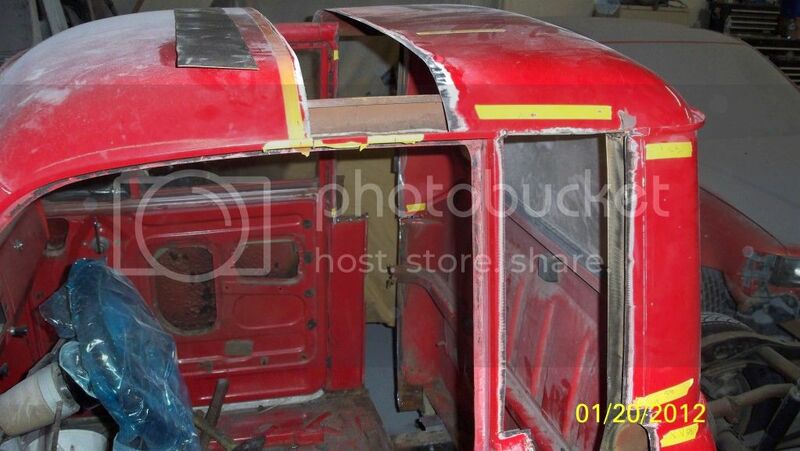 Fine workmanship in this 320 king cab. This is the best way in my opinion to get leg room in a 320, 520, or 521. 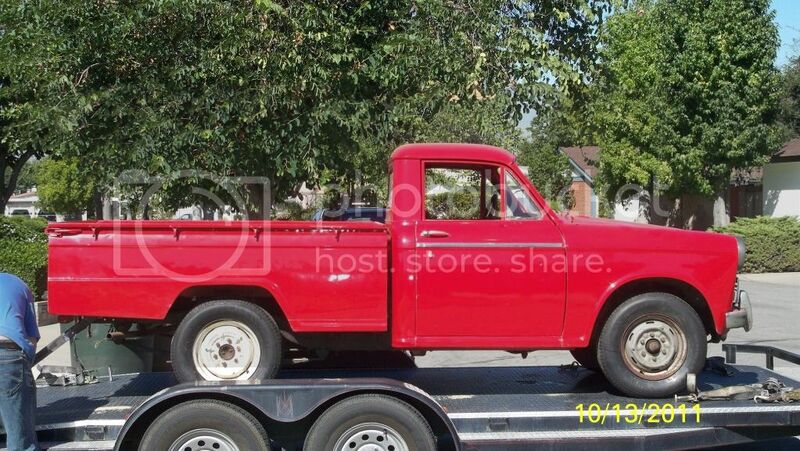 Here is an early Datsun truck that was for sale in I think New York. 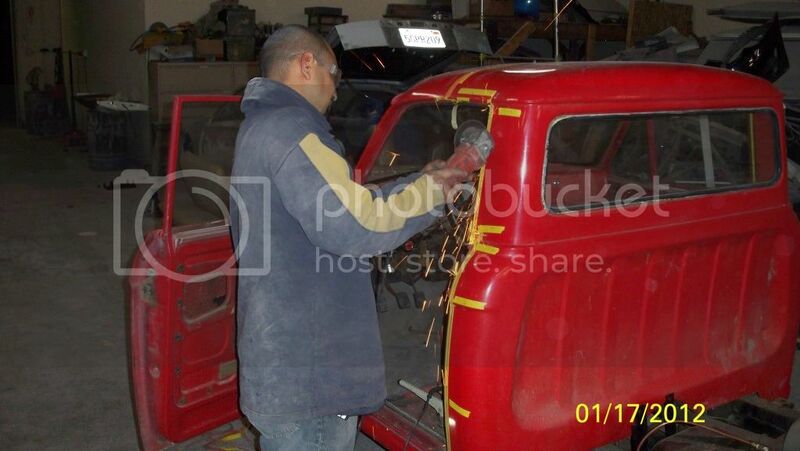 I saw the red 65 "extra cab" for sale not long ago. Who did the cab stretch on that one? Also, I wonder if the one in New York sold, and for how much. He was asking $25K. 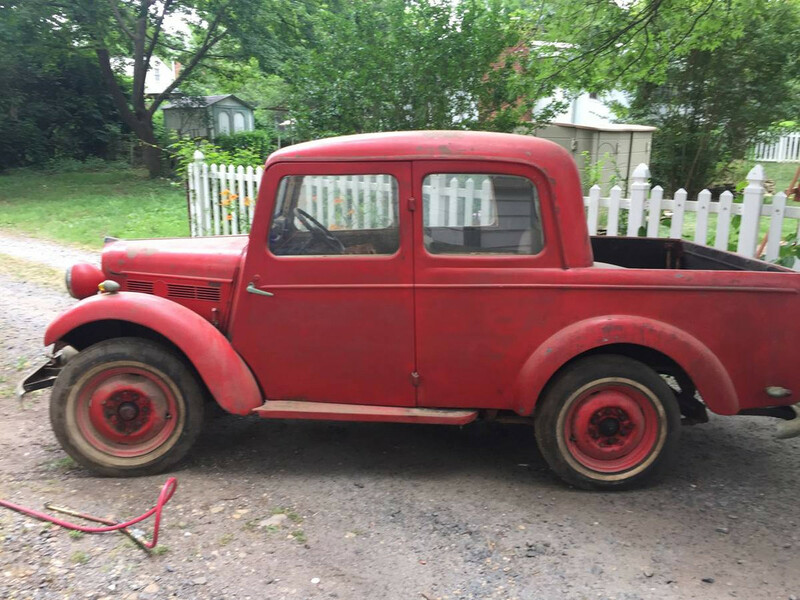 I think I saw that old Datsun truck (I think it was from the 1940s or 50s) for sale on CL in the Northern Virginia area several months ago. And yes the original asking price was around $25k. There was a walk-around youtube video but I can't find it right now. Gonna take me a while to get over that one !! 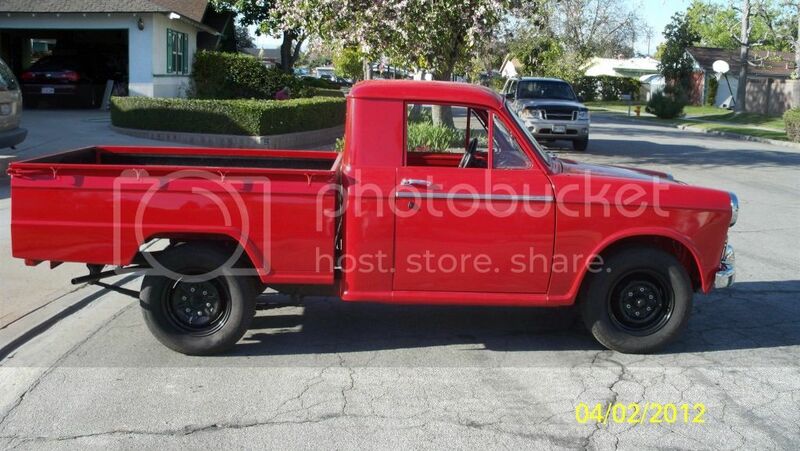 I've always wanted an early Datsun (Nissan) truck. I absolutely love those big ones, well anything over compact size actually. Imagine making a car hauler out of a 1950's Nissan 580, or something similar. 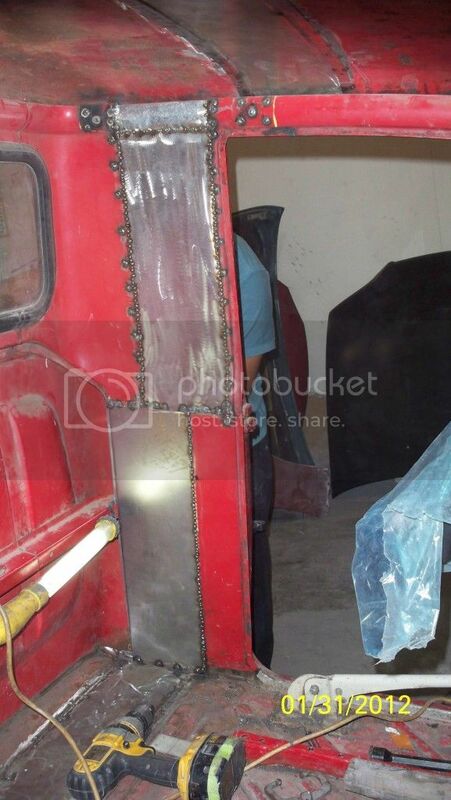 Look at the hood side-panel louvers on the one I posted compared to the one posted on Ratsun. Earlydatsun site is a good reference tool. I've spent hours in there. They also had at one time a good amount of neat stuff on my favorite Nissan; the mid 1960's Silvia. That's my 'Left Nut' Japanese car, probably. Be real tough to pin down the Italiano 'Left Nut' car, but FIAT Abarth Record Monza is close to top of list. Yep, you're right. The louvers and cycle fenders up front without running boards are a dead giveaway. I love old trucks, and the more obscure, the better. Sure, I would love to have and old Skyline, but I'd take one of those Nissan Cablights instead. 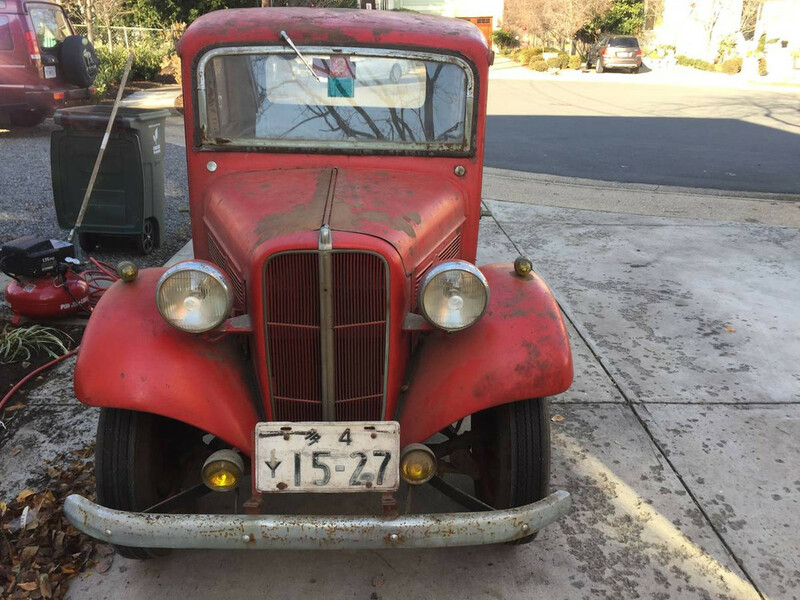 There is a lot of info on the internet about this truck, it is a "1954 Datsun 6147 Double-Cab" and here is a link to more photos and why they think it is a 1954 Datsun. I guess antique Nissans aren't quite there yet. One thing my dad taught me about classic cars when I was a kid, just because it's rare, doesn't mean it's valuable. 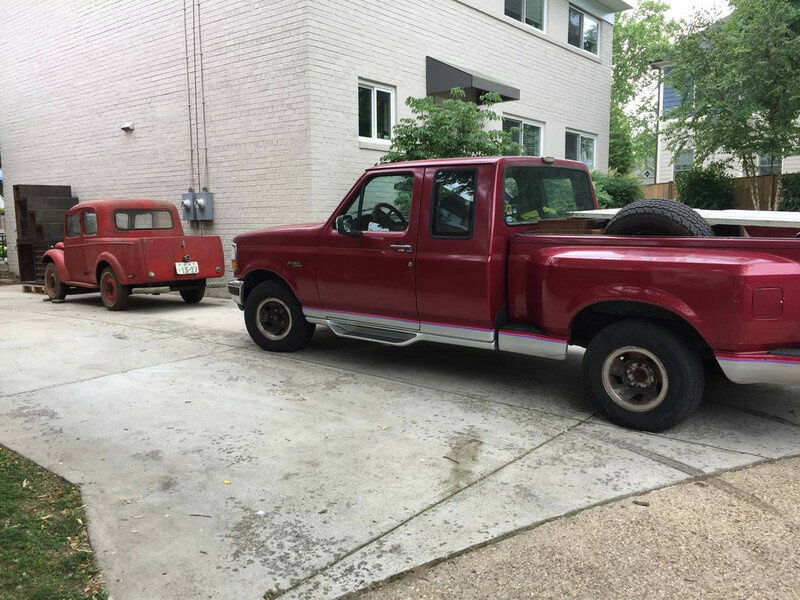 Yes, I'd like to own that red trucklet, but $25K? That guy is high as a kite. Mind boggling old survivor !! 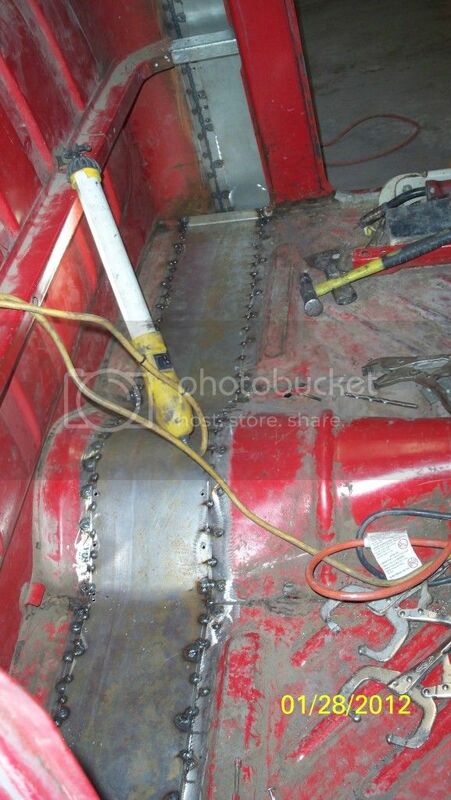 Subject of bumperettes comes up on the Datsun pickup forums from time to time. Those must be the bumperettes that Leonardo DaVinci drew up when he was a kid !! Yeah, I could nut-out driving that little feller around the neighborhood; probably wouldn't wanna get much farther afield though. I remember throwing a set of the 320 bumperettes away. It was my first 320 and I didn't realize how rare they were. 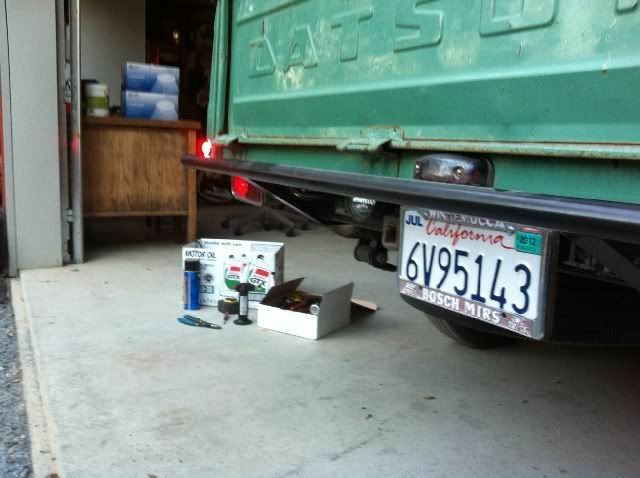 I didn't like them though, so I removed them and ran without a rear bumper for about 10 years. 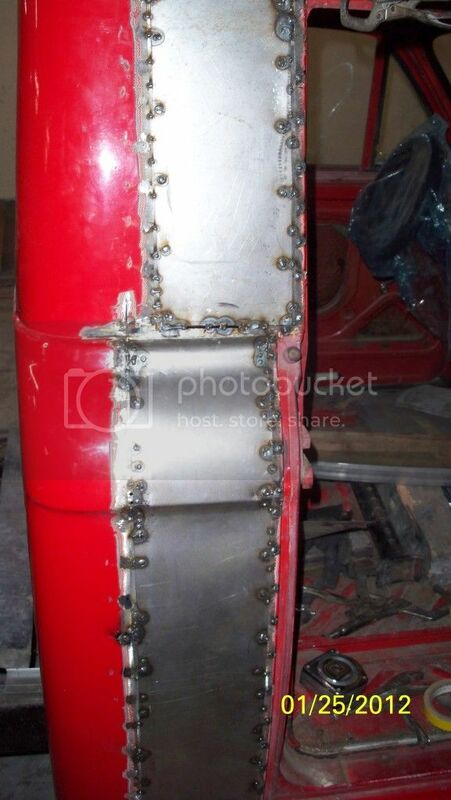 I built a custom tube rear bumper just before selling it. Notice the corner marker reflectors. We converted them to LED lights.